Eric Trump literally just came to the rescue. This is awesome. 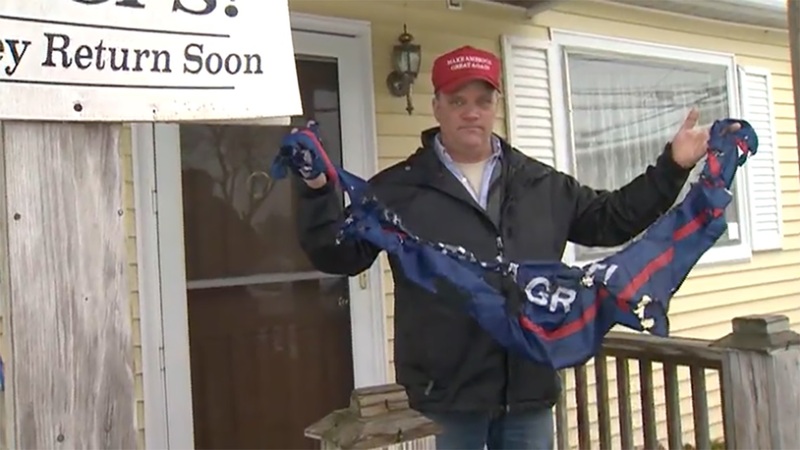 “After someone burned a ‘Trump 2020’ flag flying outside of his house, Gus Klein says he sees his Burlington, Vermont, neighborhood in a whole new light. Now here’s the cool part. 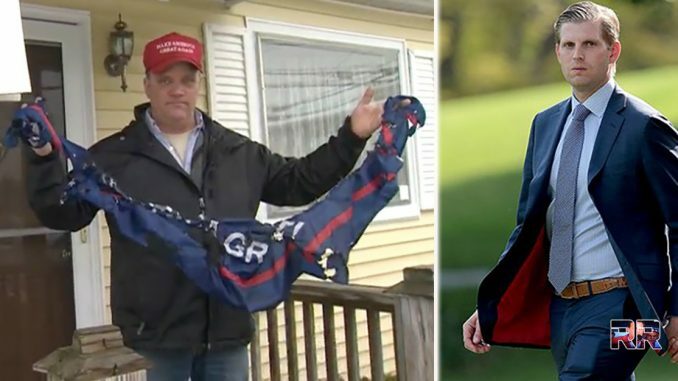 Eric Trump literally just Tweeted Klein that a replacement flag is on the way. Share if you think that was an awesome thing for Eric to do!